Another election cycle in California means another attempt to pass some new marijuana legislation, and with it, a horde of demagogues smacking you in the digital face to get your vote. Proposition 64, also known as the Adult Use of Marijuana Act (AUMA), may seem like a straightforward case for legalizing recreational use of weed, but it’s actually a very important issue that carries a lot of baggage. Rumors have been flying from every direction with no shortage of BS, so we spoke with James Anthony, a prominent cannabis attorney/consultant, and Alex Zavell, a senior regulatory analyst for Robert Raich, a cannabis attorney who has argued marijuana cases before the US Supreme Court. These sources take a pro-legalization stance, but have taken issue with aspects of this and other cannabis laws in the past. They’re no evangelists, but do have plenty of expertise and insight. Everyone over the age of 21 is permitted to grow up to six plants, provided they are in a locked area and can’t be seen via “normal, unaided vision from a public place.” You are entitled to everything you can get from those six plants, free from worry about state harassment. Presumably. Seems like it would be pretty cool to export your fine, smooth, flavorful buds out to other states, doesn’t it? Alas, that’s still a very, very big no-no, and there’s no legal resolution for that on the horizon. The days of $4,000/lb (what distributors would pay to growers) have been gone for a long time now, and the wholesale price of weed will likely continue to fall. The price a consumer pays for weed will be determined by how expensive it will be for farmers to go fully legal and how much supply will fluctuate -- there are no exact figures yet. Even after things settle a bit, there is a “sunrise” provision in this bill that will go into effect five years after its passage which may cause an economic shake-up (more on that later). Still, if the intent of Prop 64 is partly to diminish or eliminate the underground weed economy, it can only be done if it’s cheaper to buy a legal ounce than a black-market ounce. The key to making this happen is making sure that it’s not prohibitively expensive for small- and medium-sized farmers, processors, distributors, and retailers to continue their operations legally. Where can you buy and smoke it? There are new provisions in this law establishing smoking permits for businesses. Presumably, this won’t affect tobacco smoking, but any challenges to that remain to be seen. The flip side of this is that you also won’t be able to purchase recreational marijuana in places where tobacco or alcohol are sold, so you can't buy a joint at your local bar or corner store. If you’ve ever been to the New Amsterdam Cafe in Vancouver, British Columbia, you’ll probably have a good idea about what the first cannabusinesses will look like... Except, you know, you’ll be able to purchase weed and smoke it in the same spot, obviously. Rest assured that Prop 64 won’t heavily augment existing medical marijuana use laws. The AUMA affects medical in two ways: There will be more scrutiny regarding the methods of marijuana prescription by doctors, and patients will have to pay a less-than-$100 sliding scale for state registration of their recommendation. The medical industry and regulations will be changing drastically however, thanks to the MCRSA bill that passed the State Legislature last year (that bill introduced the licensing system and controls that have been adopted into the language of Prop 64). That law has already passed and goes into effect starting next year, so if you want to know how medical laws have changed, check out that link. The license structure for the first five years of legalized recreational use includes 13 cultivation licenses, depending on type (indoor/outdoor/mixed light) and size of the farm. There will also be one license for testing, one for retail, one for distribution, and two for manufacturing. There will also be a license for a “microbusiness,” essentially an all-inclusive license that allows any business occupying less than 10,000sqft to act as cultivator, distributor, and retailer. "Testing," meanwhile, must be wholly independent, and all of the weed you smoke (legally) will be tested with a mass spectrometer for a variety of fertilizers, pesticides, and other chemicals including THC and CBD/CBN content. This info will be printed on every cannabis product label, so you’ll be able to know exactly what you’re smoking and how safe it is. There are no limits on the number of licenses that can be issued, and the price for each license will be determined based on the size and expected output of a particular business. 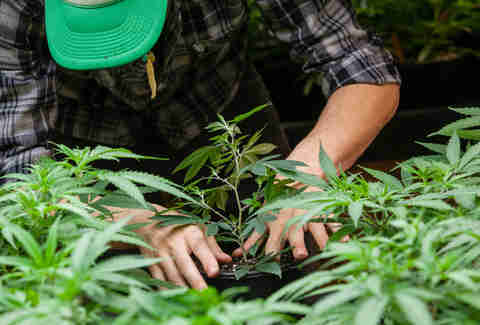 In order to qualify for a cultivation license, the grower must comply with all state and local agricultural statutes, obtain the proper land and water use permits, as well as any building permits that may be necessary. This is probably the scariest part of the bill from a small-business standpoint. After Prop 64 has been in effect for five years, a new license will become available. The Type 5 "Unlimited" license will allow farmers to cultivate as much weed as they want, so long as they meet all of the land and water use regulations, and have the appropriate permits and enough resources. Realistically, this is a big-money permit. Most farmers don’t have enough land, money, or resources to be able to grow on an ultra-large scale the way, say, Phillip Morris could. It’s possible that consolidation and growth of certain farms would allow for a very large-scale grow, but the fear is that a large company could just come in and buy up as much land as possible, then operate at a loss until only similarly sized companies could manage to compete. To some, this might sound like a natural progression of prevailing economic theory, but many people are sounding the alarms on this one. This provision should be of particular concern to anyone who has witnessed the transformation of some Northern California towns from economic craters to flourishing beacons of good country livin’. On the flip side, there are, of course, five years where you can support your local farms and try to help them as much as possible by buying local and getting blasted on your neighbors’ herb. Additionally, the law does state (albeit vaguely) that there are anti-monopolistic provisions to protect small- and medium-sized businesses, and to top it all off, individual counties could further restrict these licenses to protect local farms. Local politicians tend to be more responsive to their constituents, so if Marlboro Greens are ruining a bunch of local economies, there’s a good chance that wouldn’t last too long. As with almost everything in this bill, though, there is no real way to predict the future. If Prop 64 passes, all of the tax money from legalized weed (except for sales tax revenue) goes into a special fund, not the CA general fund. Of that, $10 million will be allocated to a fund that gets distributed to organizations serving communities that have been disproportionately affected by prohibition. This could include places like the Emerald Triangle, South Central LA, Barrio Logan, Oakland, or even demographic groups. That fund will increase by $10 million annually until there are $50 million dollars allocated for assistance every year. 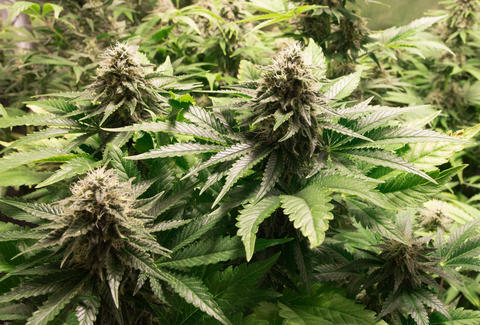 Another $10 million will be distributed annually to universities for marijuana research. Sixty percent of the remaining annual revenue goes to the Youth Education, Prevention, Early Intervention and Treatment Account -- school and community programs to increase education and treatment options for drugs, as well as job placement assistance. Twenty percent goes to the Environmental Restoration and Protection Account (which does what you think it does), and another 20% goes to law enforcement groups who are charged with developing ways to figure out if you’re driving while stoned. 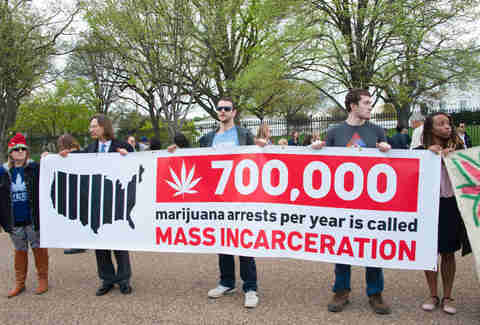 Legalized weed could spell the end of the "War on Drugs"
This is almost certainly the largest benefit about this bill. One could go on and on and on about the benefits of keeping people out of jail for victimless drug crimes, but here’s the bottom line: Legalization reverses the perverse and disproportionate incarceration trends that have stymied both individual and societal progress for the last 50 years. Not only will prisoners immediately be eligible to petition for their release, but their cannabis-related arrest records will be either reduced, or even dropped entirely, allowing tens of thousands of people to get on with their lives. Today, there are provisions in place to protect those who have been prescribed other medications, but medical marijuana is exempt from these protections following a 2008 California Supreme Court case called Ross v. RagingWire. Section 3(r) of Prop 64 further codifies this inequity. The section deals with employment policy and essentially approves a loss of employment rights in California regarding cannabis. Now, some of you might be thinking, “Yeah, OK, just don’t get stoned at work,” unless you work in a restaurant, or dispensary, or bar, or as a bike courier, or a creative, or if you have anxiety, or chronic pain… Wait, that sounds like an awful lot of people. OK, so but don’t get stoned at work, right? Well, if you are a medical patient, your company can still drug-test you and fire you for testing positive. As you may or may not know, cannabinoids are fat-soluble and stick around in your system, providing false positives for up to a month. This is why the cops get all that cash to develop a better way to test for weed intoxication. If this prop passes, we’ve just gotta hope that most companies will stick to cannabis-friendly policy, or that they don’t test you. Even if we legalize weed, we’re still in a pretty precarious position, legally speaking. The only reason arrests and court cases haven’t gone forward for the last few years is that the federal budget that allocates funds for prosecution hasn’t been renewed. The feds can still decide that they want to come down hard on anything related to cannabis, at any time. Hillary Clinton hasn’t really mentioned too much about federal action on this topic, though she does suggest that the feds should stay out of state business with this sort of thing. Unfortunately, Gonzales v. Raich (a 2005 Supreme Court decision that stated Congress can criminalize the production and use of homegrown cannabis even if states approve its use for medicinal purposes) set a big precedent for federal intervention. Of course, that would take a lot of resources and time, so maybe they’ll just let us do our thing for now. At this point, only one thing is certain: smokers gon’ smoke, tokers gon’ toke, just as it’s been for centuries. Mark Davis is a writer in the Bay Area and team captain of the Scissor Wizards. He’s been keeping his eyes on the pot industry for the better part of a decade.